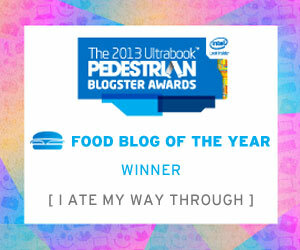 For a few years now, street food has been steadily making its way into Sydney’s appetites. From Greek street food at the likes of Zeus to Vietnamese street food at eateries such as So 9, we’ve covered a lot of street food from a variety of cuisines. 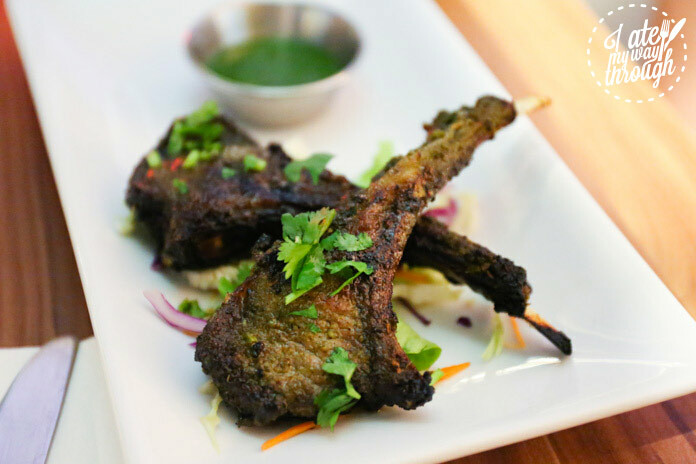 Needlessly to say, when we were invited to dine at newly opened Bombay Street Kitchen, we were filled with excitement to see what these new kids on the block had to offer. Located at the University Hall on the corner of Parramatta Road and Glebe Point Road in Glebe, Bombay Street Kitchen is hard to miss. 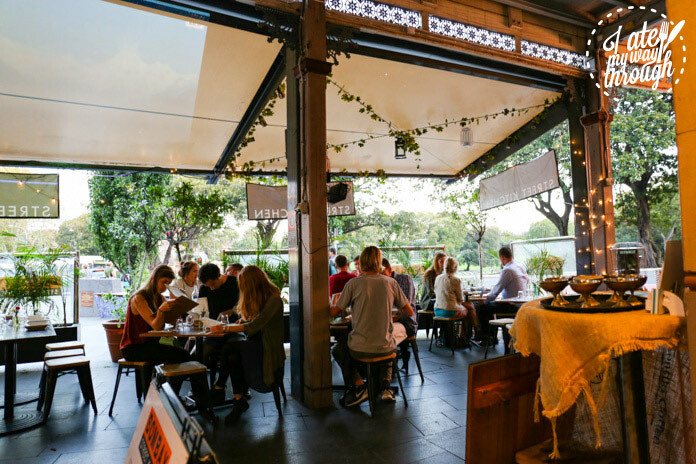 There are plenty of seats both inside and out and is a great spot to sit back, relax and watch the hustle and bustle of Sydneysiders going about with their busy lives. We dined on a Wednesday and to celebrate the end of hump day, we ordered the Tamarind Margherita cocktail ($14) and Kingfisher Beer ($7). 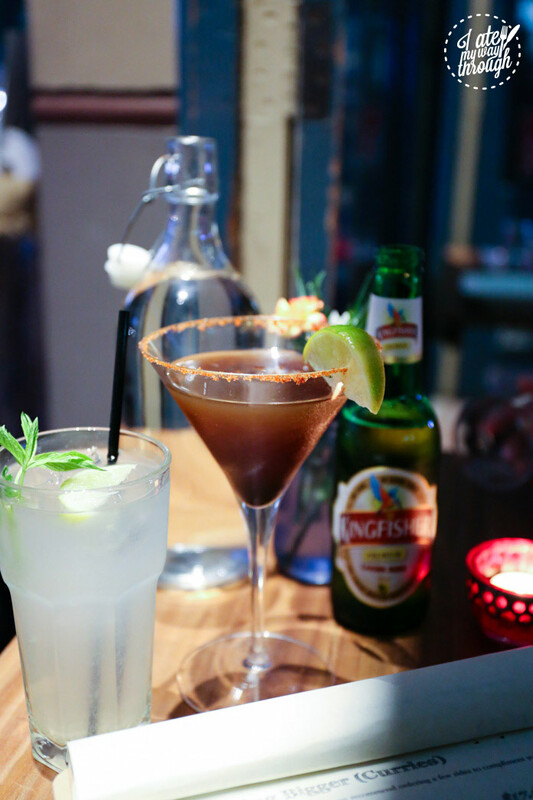 The cocktail of tequila, Cointreau and tamarind was refreshingly tangy, and was the perfect drink to ease into the night’s Indian feast. 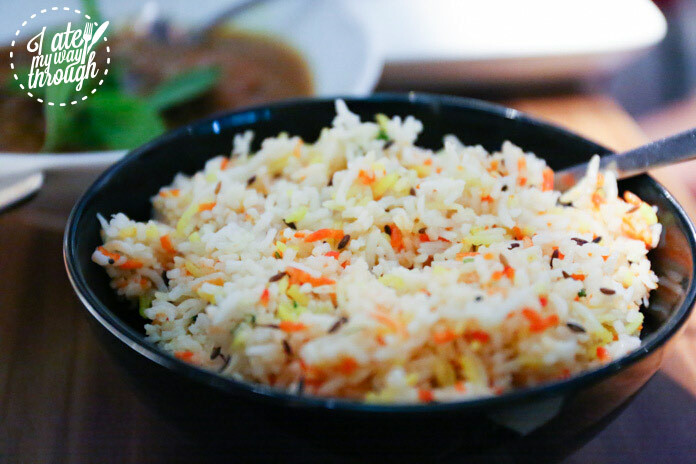 The street food appeal really shines through the entire offering at Bombay Street Kitchen and having grown up in the western suburbs of Sydney, it is definitely more refined than the Indian food that I was used to in my younger years. Vegetarians and vegans won’t go hungry either, with an entire page of options on the menu. As tempting as it was to order one of everything from the street food menu, we decided to start with the Pani Poori ($7.90), Koliwada Prawns ($10.90), Pav Bhajji ($8.90) and the Spicy Lamb Cutlets ($9.90). Pani Poori, crispy semolina pockets stuffed with potatoes, sprouts, puffed rice & Bombay chutney. Spicy tamarind water to taste. The food service was quick and not long after our order we were treated to the Pani Poori. 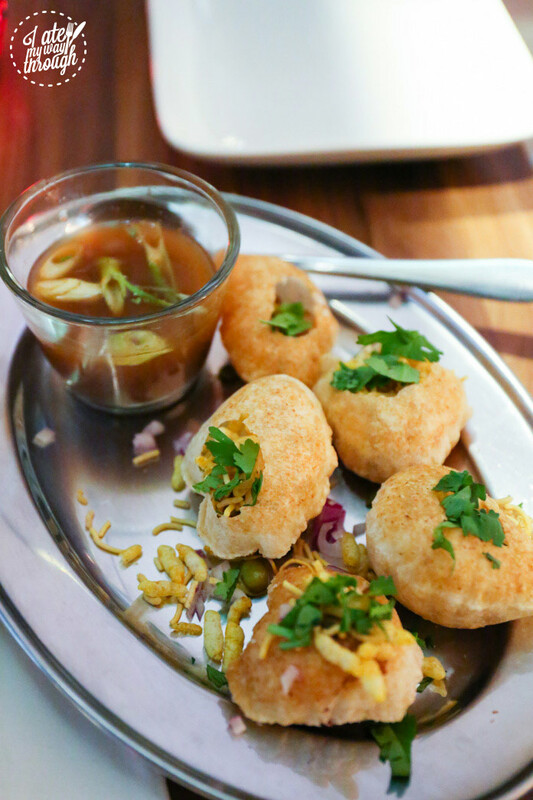 The Pani Poori is definitely one of our favourite Indian snacks. If you haven’t tried it before, this is a must. 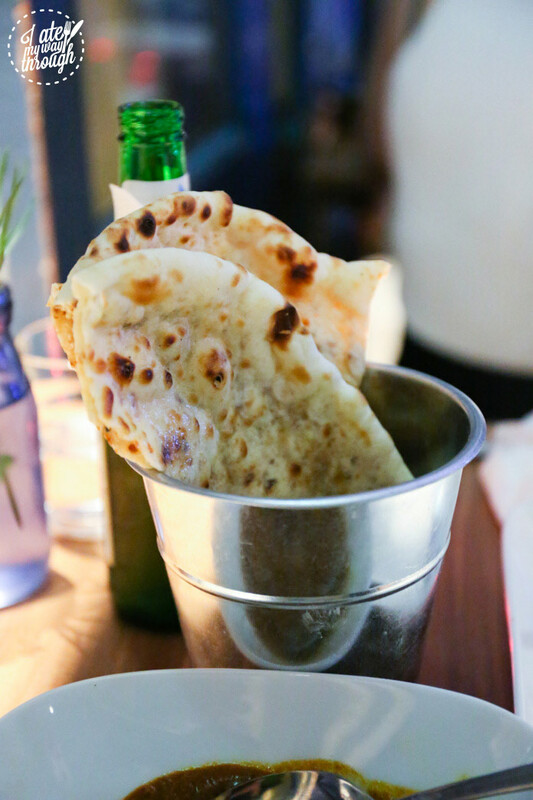 The literal translation of Pani Poori means ‘water bread’ and is a commonly eaten as a snack on the streets of India. The combination of potatoes, sprouts, puffed rice and chutney stuffed inside a crispy semolina pocket and dipped with the spicy tamarind water makes it one flavoursome, texturally satisfying bite. The Koliwada Prawns (popcorn prawns) are based on a recipe from Bombay’s famous Koli (fisherman) Wada (district). 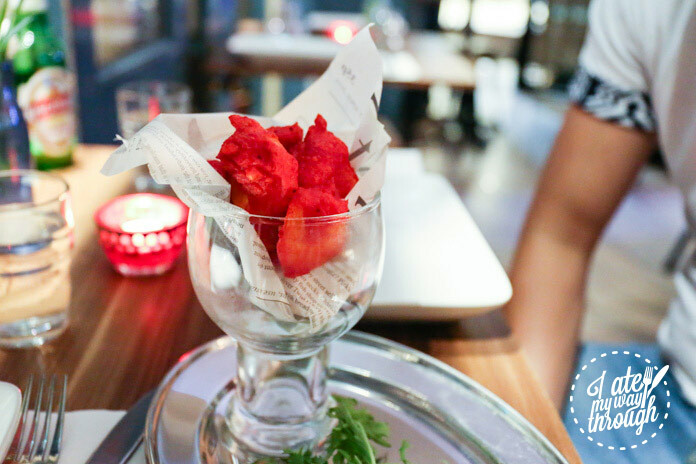 Vivid in colour and spice, these crispy nuggets were served with a cooling lemon scented yoghurt – a great combination when paired with the Kingfisher beer! Both the Pav Bhajji and the spicy lamb cutlet had great depth of flavours, spices and brought a new way of eating everyday ingredients. 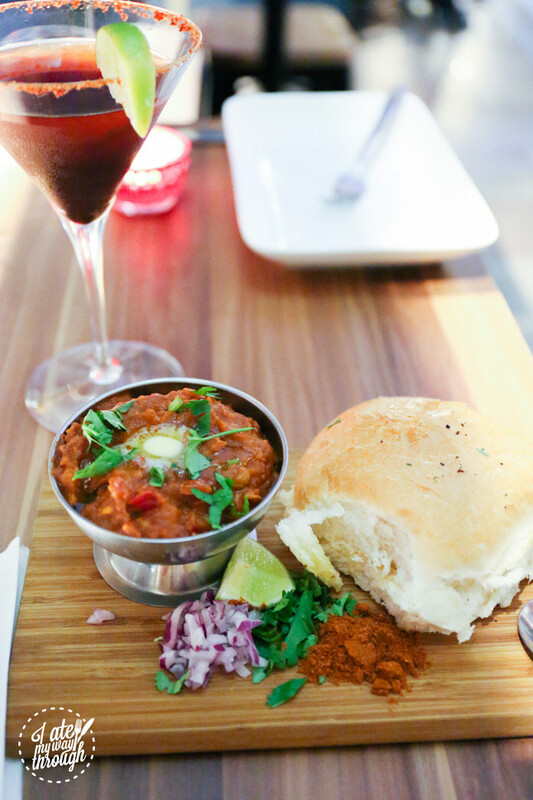 The Pav Bhajji originated in the 1850s as a fast lunchtime dish for textile mill workers in Bombay. Now a staple street food item eaten all over India, this deconstructed sandwich offers the comfort of a baked-beans-like vegetable curry. The lamb cutlets were juicy, tender and perfectly charred. The mariande was accentuated with lime, ginger and garlic, and the subtle sweetness and sharpness of the fresh coriander and cumin chutney produced an explosion of flavours. Pav Bhajji, lightly spiced mashed veggies served with a warm buttered bun. On the side is a refreshing coriander, onion and lemon wedge. For most people having four entrees may have spelled the end to a hungry stomach. However, as food lovers, our stomachs had been specially trained and we were ready for the main course. Normally you will be right for thinking that we might have settled for something light after our epic entrees, but wrong, with so many dishes to choose from we ended up ordering the Parsi Macchi ($18.90), Konkani Prawns ($18.90), Bharli Vangi ($18.90) and Komdich Saguti ($18.90). With a serve of Kashmiri Naan ($4.80) and Jeera Rice ($5.50), we were armed to eat our way through this mega Indian feast. 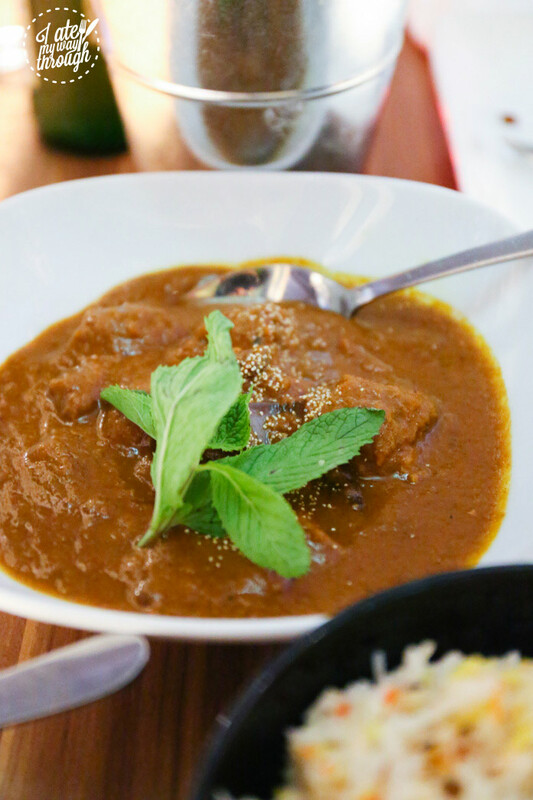 Having never had Parsi cuisine, we were most intrigued by the Parsi Macchi fish curry. Parsis are descendent from Persian Zoroastrains who emigrated to India in the 8th and 10th Century. Parsi cuisine contains influences from Persia through the use of dried fruits and nuts, and due to the coastal location of Parsi communities, the dishes typically feature lots of seafood. 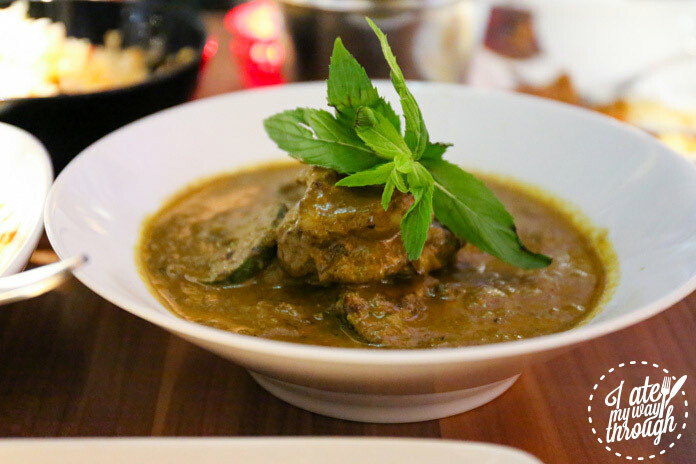 The Parsi Macchi contained very little spice in comparison to more popular Indian curries and was surprisingly light and delicate in flavour with divine notes of green chilli, sesame, coriander and coconut. Konkani cuisine on the other hand refers to food from the Konkan region on the west coast of India and features a distinct use of coconut in all forms such as grated, dry grated, fried, coconut paste, coconut oil and coconut milk. 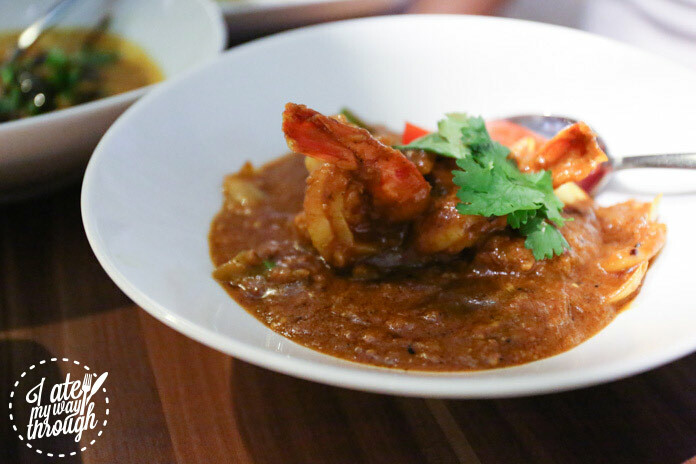 The Konkani prawn curry was what you’d expect from a honest seafood curry – the curry was not too spicy and well balanced enough to let the freshness of the prawns shine. 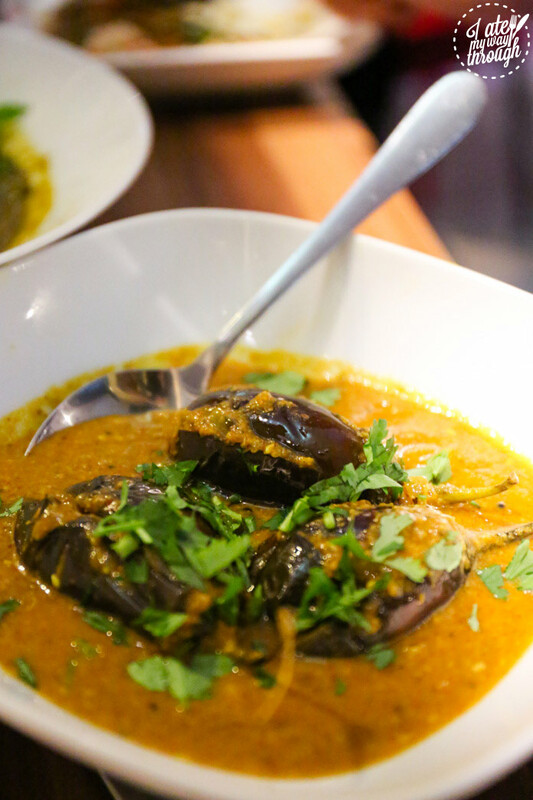 The Bharli Vangi, a curry of stuffed baby eggplants, was one of the daily specials and was a fabulous change from our usual order of aloo baingan. However, one of my personal favourites of the night was easily the Komdich Saguti, a traditional Goan chicken curry with aromas of dry roasted chillies, black peppercorn and star anise. Like the curries, the dessert menu also contained a selection of traditional Indian sweets such as the famous Gulab Jamun as well as some modern creations. 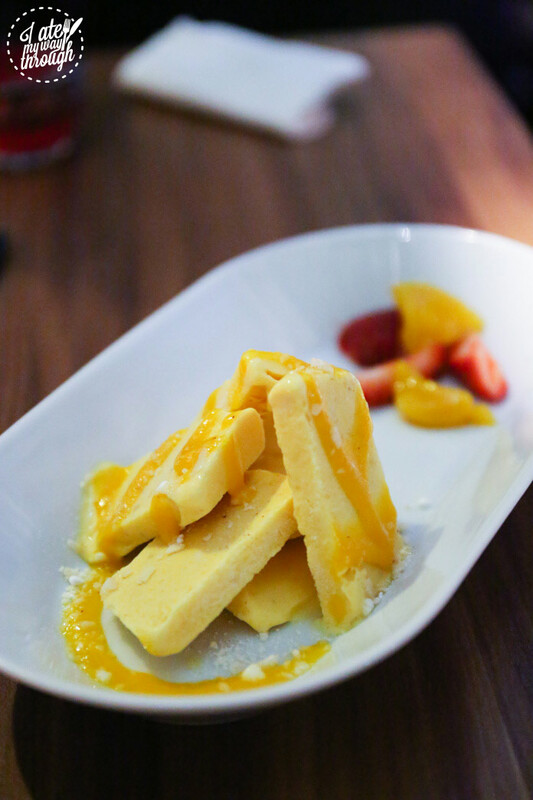 We decided to do one of each; the classic Mango Kulfi ($9.90) was creamy and fragrant, with a punchy mango flavour reminiscent of Mango Weis Bars. 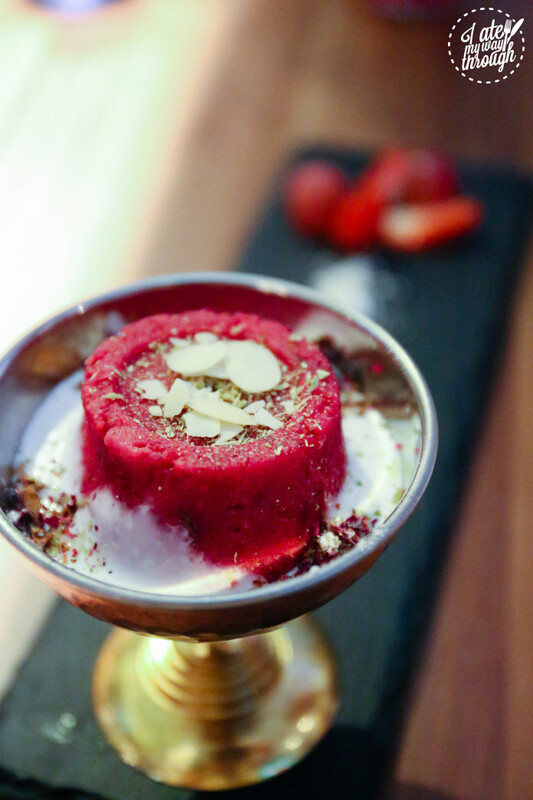 The Gulkand Halwa ($9.90), a pudding of rose water jam, millet and beetroot served with a coconut cream reduction, was vibrant in colour and taste. Being dairy-free, gluten-free and vegan, it’s sure to please the pickiest of eaters.